As I write this on a grayish summer day my feet are happy. 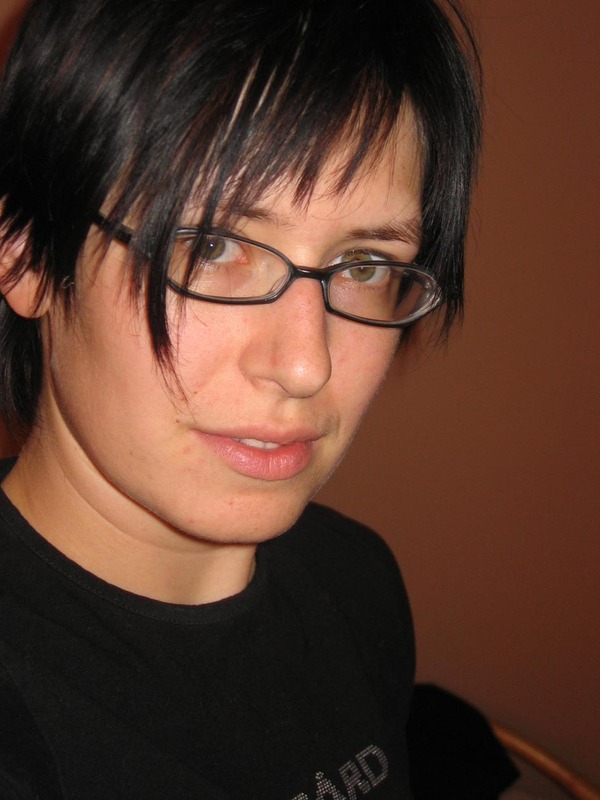 Happy and warm …..They are also pretty, stripped, and soft. Well technically it is not my feet; it is Mr. Socks that are pretty, stripped, and soft. Nine days after the birth of Mr. Sock, Mr. Sock II came to this world on June 19th at exactly the same time as his older brother 3:18PM. Weird coincidence!!! 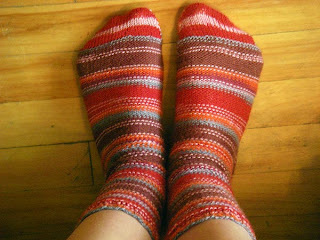 I definitely enjoyed knitting socks. 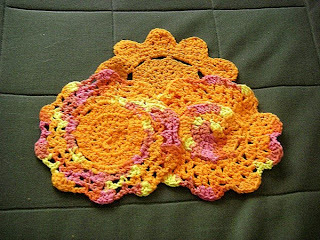 Enjoyed so much that my next project would be “Fluke” (click on the link to get the pdf pattern and see where the picture comes from), for my sister, made from the wonderful German “Fortissima Socka” (color #2048). What would I have done differently? I definitely made first sock too loose. 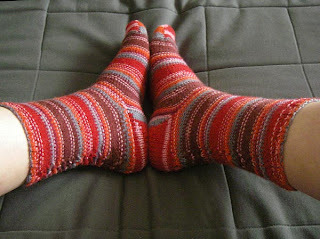 Socks in general should be knit tighter than other garments. 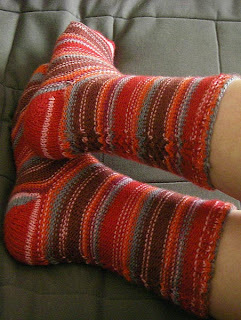 Also I had to adjust the first sock (decrease and increase) and be careful when knitting the second one – I wanted the color-pattern to be identical. 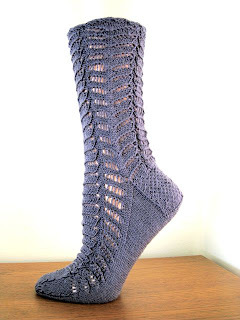 I would also follow the PDF pattern, because it has calculations, rather then casting on 60 sts without considering the tightness of my knitting and the circumference of my calves – I find that design on the back could benefit from a tighter fit. 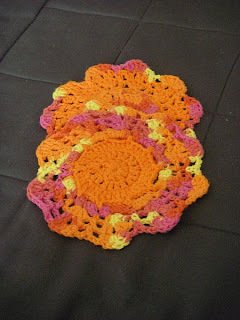 While I was working on the second sock I crocheted yet another dishcloth. 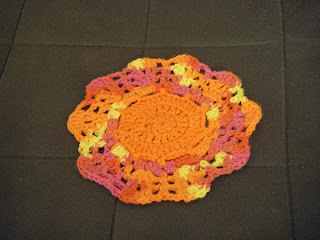 Now I have a set of 3 and still lots of yarn left – expect more dishcloth pictures in near future. And finally, here is a sneak preview of my next project. I already have socks and some slippers, to go with, would be nice. 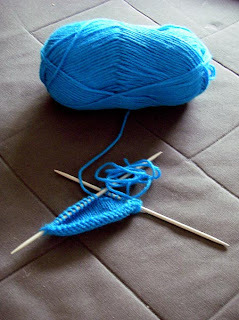 I picked up bright blue yarn yesterday and started my knitting. 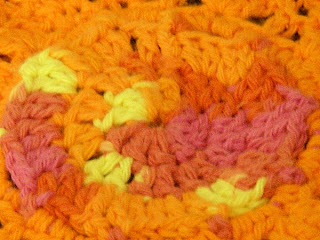 The color of yarn is much brighter and livelier in real life. 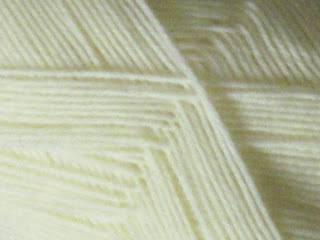 It's "Galway" Irish worsted knitting wool in color # 5050 Oh, the pattern … I'll keep it a surprise for now!